Swathi describes herself as a fun loving and dream oriented girl. She is working as a guide as well as studying for a Master in clinical psychology. 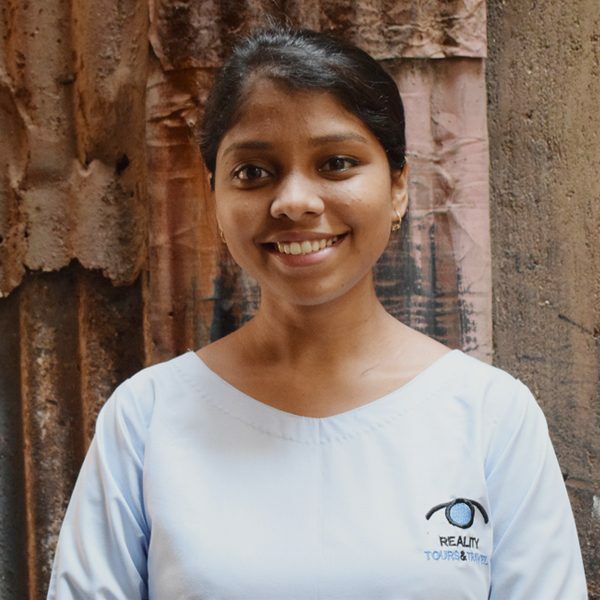 What she likes the most about her job is the fact that Reality is doing good things for the people of Dharavi. She also loves to meet new people and show the positivity of life and work in the slum to help change the negative perceptions. Her hobbies are singing and hanging out with her friends. She is an adventurer and loves to travel and try different food. 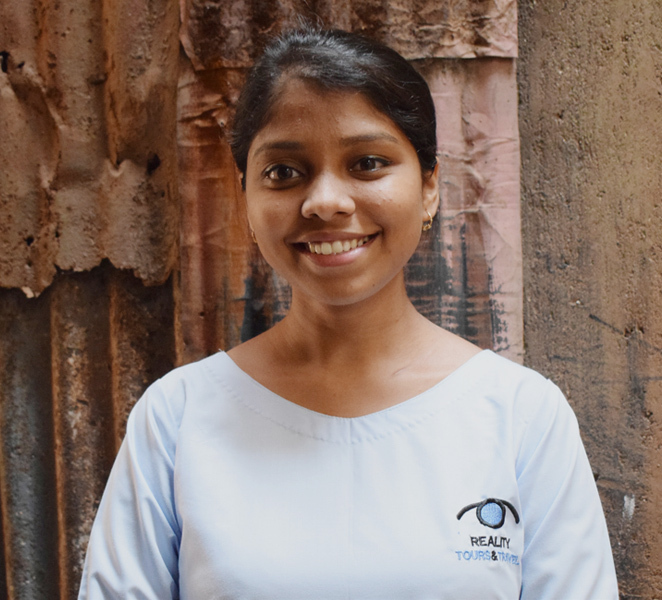 Her dream is to become a great psychologist and start an NGO that will work for women empowerment and health issues awareness, children education and old age homes.